Get ready to fall in love with this perfect townhome tucked into a quiet complex. 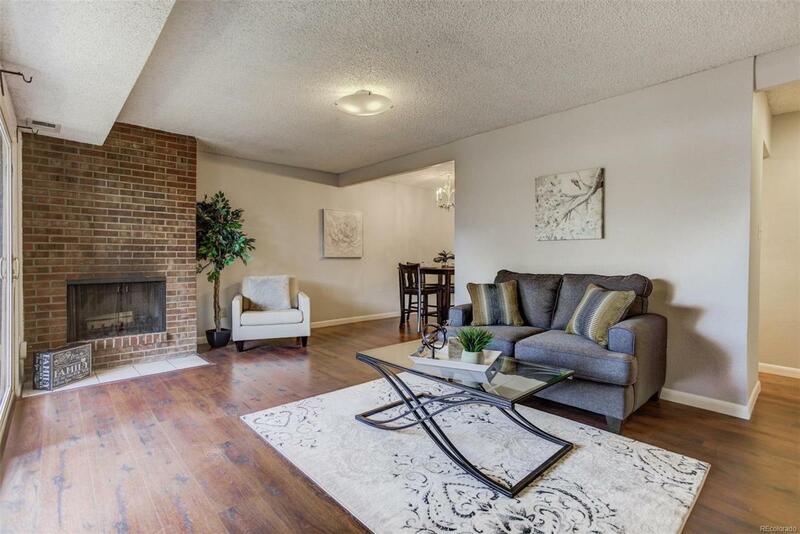 You'll feel like you're living in a brand new home with the fully remodeled main level. Gleaming laminate wood floors greet you when you arrive. Abundant sunshine fills your home from western facing windows. Cook up gourmet meals in your kitchen on brand-new granite counters. Everything has its place in the cherry cabinets. On those warm summer nights enjoy a meal outdoors on your shady private patio or cozy up to the fire on those chilly winter nights. Swim away the stress of the day in the *indoor* community pool open year-round! Walk to the highline canal, shops and restaurants or hop in the car for a quick drive to Cherry Creek. Close to everything! Welcome Home!